Is Medicaid Expansion at risk? Medicaid Expansion is at risk, nationally and locally. The Ohio House of Representatives are trying to decide whether or not to override Governor Kasich’s veto on Medicaid Expansion which, if passed, would put 500,000 Medicaid recipients at risk as of July 1st, 2018. On the national level, the latest effort to repeal and replace the Affordable Care Act (ACA) is described as the Graham-Cassidy-Heller-Johnson (Graham-Cassidy) legislative proposal. 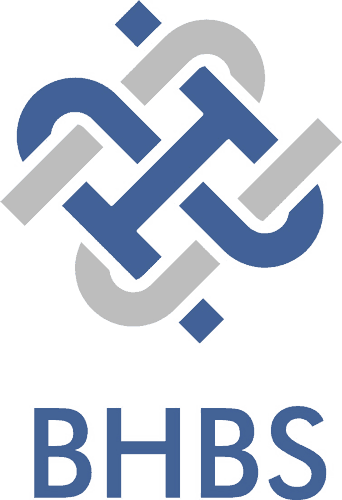 While this latest effort has a new name and is being sold as merely providing the states with more flexibility, make no mistake, if enacted it would have significant negative consequences for Ohio’s health care system and more importantly harm Ohioans who rely on Medicaid to access mental health and addiction services. As stated in a correspondence from The Ohio Council. 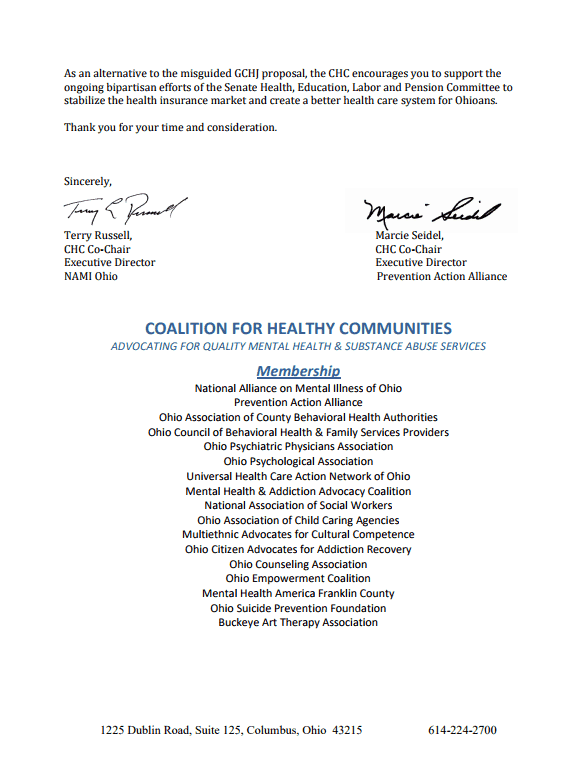 Below is a letter drafted by The Ohio Council on behalf behalf of the Coalition for Healthy Communities (CHC), an Ohio based coalition of mental health and addiction services advocates. 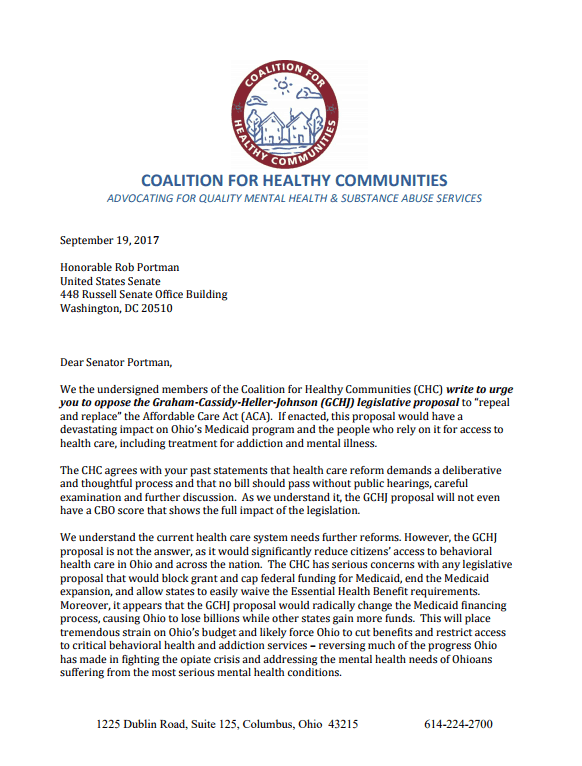 They continue to urge all of us in Ohio to continue to reach out to Senator Portman about voting against this bill and did say to feel free to use portions of this letter as part of your talking points. 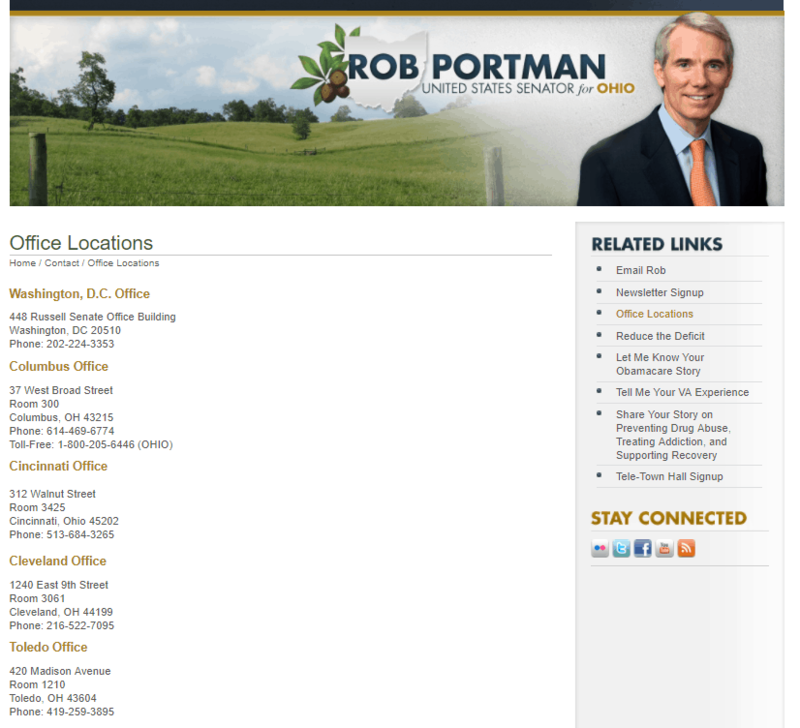 His office info is below. On the local front, the Cleveland Plain Dealer reported the story below on September 18th, 2017. COLUMBUS, Ohio – The Ohio House could reinstate a freeze on Medicaid expansion enrollment, but a vote to override Gov. John Kasich’s budget veto of the provision won’t come at least until October, a spokesman for House Speaker Cliff Rosenberger said Monday. Rosenberger recently sent a memo to House Republicans, giving them until 5 p.m. Sunday to indicate whether they would vote to override Kasich’s veto. The freeze would go into effect July 1, 2018, and would make an exception for people receiving drug and alcohol addiction or mental illness treatment. Brad Miller, a spokesman for Rosenberger, said he didn’t know the tally of the informal vote and whether the override would be successful. After this week, the House is not scheduled to meet again until Oct. 10. Rosenberger told reporters last week that with Congress having failed to repeal and replace the Affordable Care Act, the freeze may be revitalized in Ohio. More than 725,000 Ohioans have received Medicaid coverage since 2014, when the state expanded the coverage to the poor under Obamacare. Kasich’s administration has said over 500,000 Ohioans could lose coverage over 18 months. The GOP governor’s spokesman said in an email that Medicaid expansion has turned out to be an economic boon for Ohio, creating jobs with fast-growing wages. “Smart, innovative management has allowed expansion to work for Ohio, giving low-income Ohioans the coverage they need so they can stay on the job and have the opportunity to meet their potential,” said the spokesman, Jon Keeling. Rosenberger has previously said the freeze is necessary to save Ohio money – a point the Kasich administration disagrees with. Sixty votes are required in the 99-member House for a veto override. If the House successful, it would head to the Senate.